Also called Turtle Island, Koh Tao (in Thai: เกาะเต่า), is a small island with a little more than 1,000 inhabitants, located in the western part of the Gulf of Siam. Its name comes from the fact that in the past Koh Tao was inhabited by lots of turtles, the word “Tao” in Thai in fact means turtle. Moreover, if you look at the island from nearby Koh Phangan, it seems as if Koh Tao actually looks like a turtle. 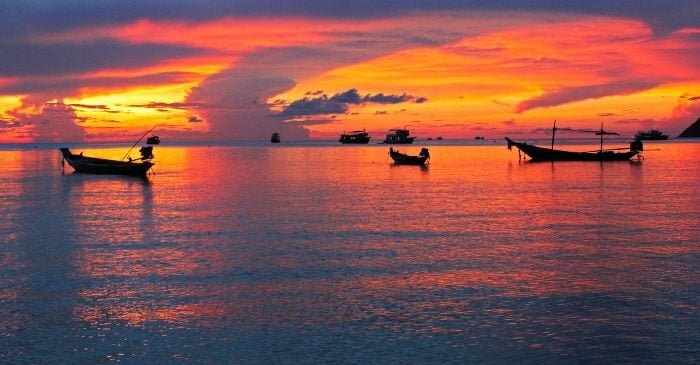 Koh Tao was “discovered” in the early 80’s, and is today one of the most popular destinations in Thailand, thanks too to its coral reef and almost untouched nature, a habitat for many species of animals. Unlike places like Krabi and Koh Phangan, Koh Tao is an island where mass tourism has yet to arrive, making it perfect for those who wish to relax in the middle of nature. The best months for visiting the island are from November to March. During this period there are few storms and the dry weather allows you to participate in outdoor activities like diving. Koh Tao was in fact designated as one of the best Asian destinations for scuba diving.